This is the famous quintuple stella, part of the international coinage proposal of John A. Kasson. 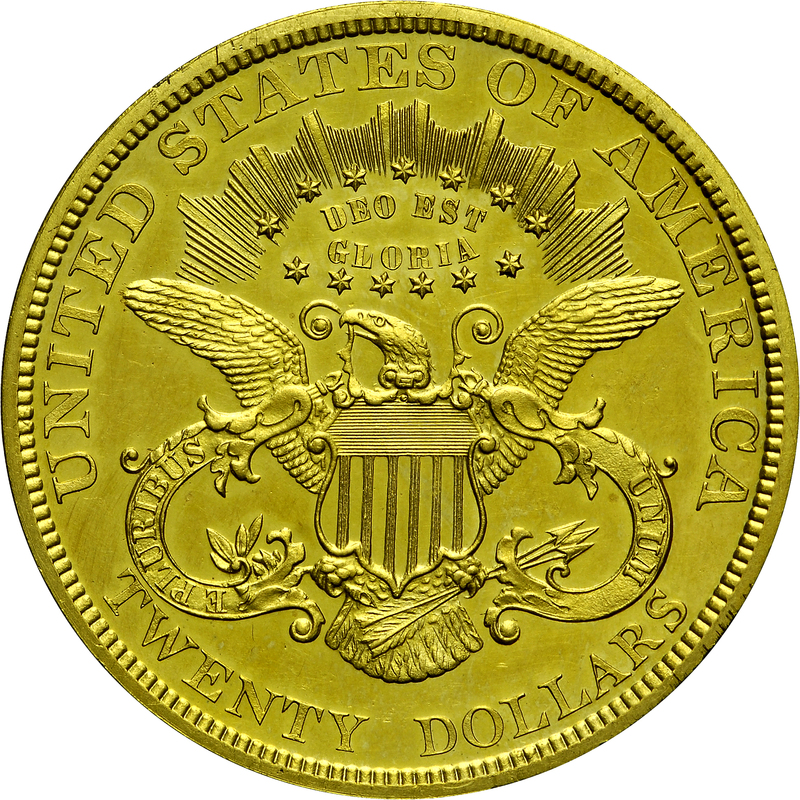 Compare the specified composition designated on the obverse with that of the four-dollar gold stellas displayed adjacent to this example. 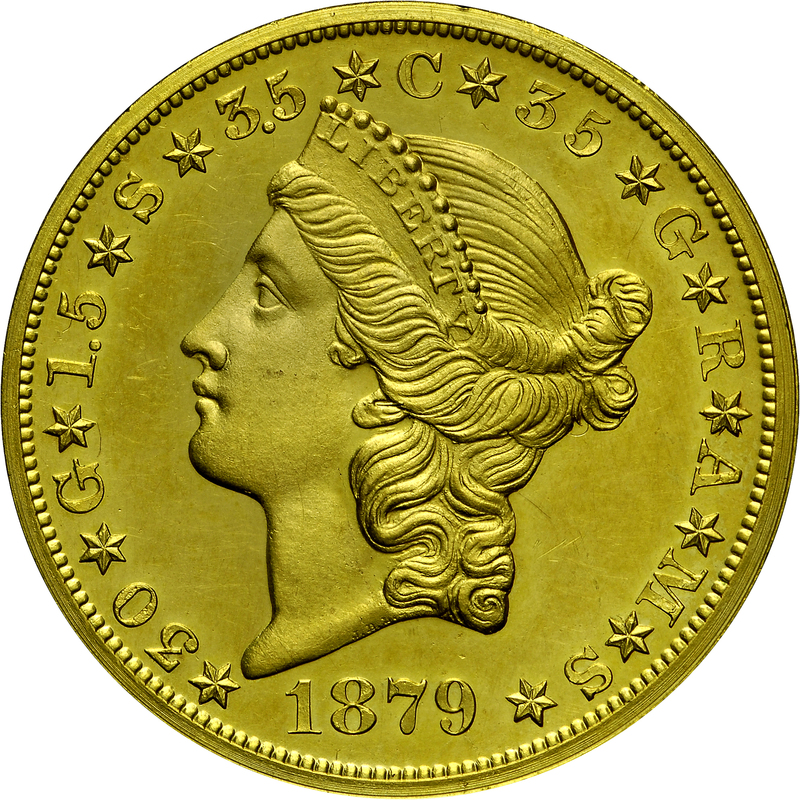 The Congressional Coinage Committee reported favorably on this coin and its composition. The Bass Collection coin is gilded copper and is one of just eight or nine such examples, some without the gold plating. This pattern issue is also known in gold, with four examples surviving, including one in the Smithsonian Institution. From Stack's sale of October 1971, the Nate Shapero Collection, Lot 1161. 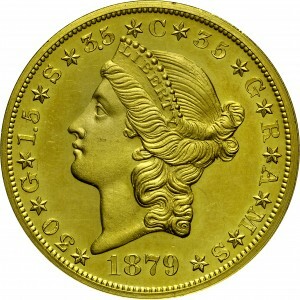 Portrait of Liberty to left with coronet inscribed LIBERTY, identical to those on regular circulating double eagles, with legend *50 * G*1.5. *S*3.5*C*35*G*R*A*M*S* and the date 1879 below bust. 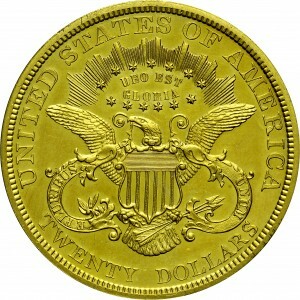 Identical to reverse design of contemporary circulating double eagles, except for substitution of motto DEO EST GLORIA in place of usual IN GOD WE TRUST.